Melissa V. Harris-Perry was named professor of political science at Tulane University in New Orleans. There, she will also be the founding director of the Anna Julia Cooper Project on Gender, Race, and Politics in the South. She was on the political science and African-American studies faculty at Princeton University. Her most recent book, Sister Citizen: Shame, Stereotypes, and Black Women in America, will be published next month by Yale University Press. Dr. Harris-Perry is a graduate of Wake Forest University. She holds a Ph.D. in political science from Duke University. Elizabeth Bye was appointed chair of the department of design, housing, and apparel at the College of Design at the University of Minnesota. Dr. Bye holds bachelor’s and master’s degrees from Virginia Tech and a Ph.D. from the College of Human Ecology at the University of Minnesota. Mary Shaw was named University Professor at Carnegie Mellon University in Pittsburgh. The designation as University Professor is the highest academic accolade faculty members can attain at the university. Dr. Shaw has served on the university’s faculty since 1972, most recently as the Alan J. Perlis Professor of Computer Science. Dr. Shaw holds a Ph.D. in computer science from Carnegie Mellon University. 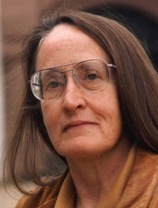 Catharine Newbury a professor of government at Smith College was named to the Gwendolyn Carter Chair in African Studies. 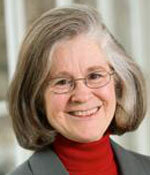 She joined the Smith College faculty in 2002. Dr. Newbury is a graduate of Willamette University in Salem, Oregon. She holds a master’s degree and a Ph.D. from the University of Wisconsin. Catherine J. 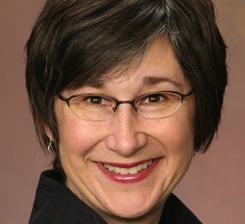 Lavender, an associate professor of history at the College of Staten Island in New York City, was named the 2011 John J. Marchi Scholar in Public Affairs. She has served on the college’s faculty since 1996. Dr. Lavender holds a Ph.D. from the University of Colorado. Her latest book is Scientists and Storytellers: Feminist Anthropologists and the Construction of the American Southwest (University of New Mexico Press, 2006).